Finding and securing new customers is one of the most difficult aspects of growing a business, but it does not have to be. Leverage the power of online directories already in place to make your business more discoverable by future customers. Reach more potential local customers with accurate and complete directory listings that improve your search rankings. Protect your image with consistent and accurate business information listed across 50+ local directories. Get listed on the directories that are relevant for your business with the assurance that your business information will be continually updated and maintained. Make your local business more discoverable where it matters most. Automatically optimize the way your business is listed with our intelligent network of directories that includes sites like Google My Business, Apple Maps, Bing and Yelp. business to build your SEO on an ongoing basis. 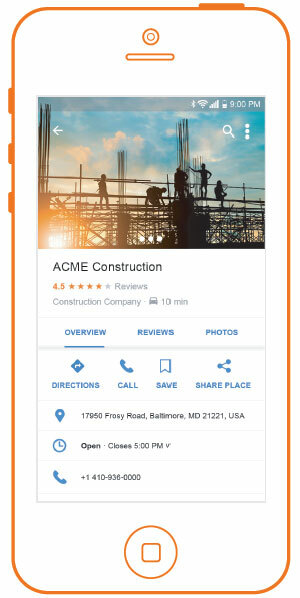 Through partnerships with Google, Yelp and Apple Maps, you can enhance your reach on a broad scale, while also maintaining your presence locally with industry-specific rectories. We take a scientific approach to managing your listings. Through detailed reporting, we track listings completion progress, errors or inconsistencies, and gain important insight into how and why customers are finding your business. For over 10 years, we’ve helped countless businesses with establishing and improving their digital marketing. We currently manage over 2M listings every month in over 100K locations across directories and GPS providers. “Our listings have been cleaned up online tremendously – weʼre seeing a lot more traffic organically.”Don M.
Get listed in the directories most important to your business. Ensure Consistency Across the WebGain peace of mind knowing that your business information is constantly updated and maintained for you across all directories. Through our proprietary monitoring software, we manage your business content including hours of operation, exact GPS location, and more. Real Humans Who Care About Your BusinessOnce your listings are live, our team manually verifies each one. Additionally, we can update your listings quickly with special holiday hours, promotions and offers so your potential customers are always informed. Monthly Monitoring of Location DataBy monitoring your rankings on an ongoing basis, we alert you when we notice inconsistencies or improvements that can be made, and make relevant content refreshes when necessary. No changes are ever made without your express permission. Get The Details RightOften times, the information in business listings becomes outdated or duplicative which can harm your SEO. By consistently monitoring and analyzing your listings, we help clean up any incorrect or outdated information so you appear in the right listings at the right time. Robust ReportingGain access to detailed on-demand and monthly reports on your listings to understand your coverage, live listing, any data inconsistencies and more. These reports can help you understand which directories are driving the most traffic to your site and help inform future marketing decisions.